Here is the Xmas greeting we sent to Councillor McConnell. 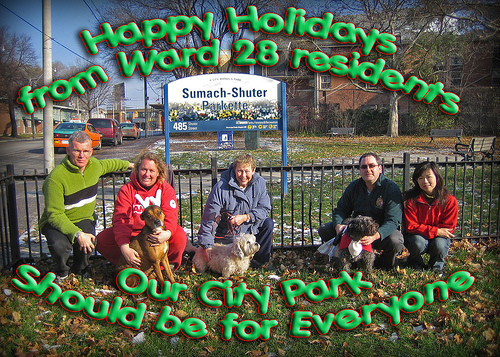 During the fall of 2007, dog owners in the Shuter-Sumach park were being unfairly hassled by city inspectors, even when dogs were on leash. Hopefully the city won’t be hassling Trefann Court-area dog owners during 2008.